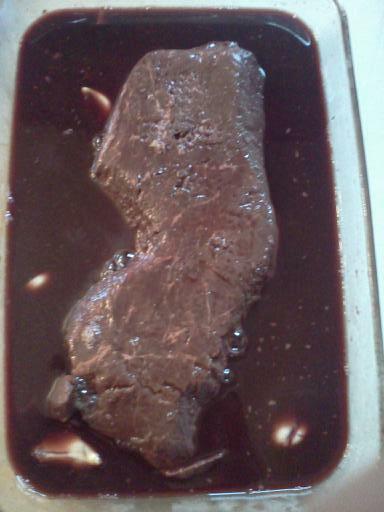 Yes, this is a completely un-doctored photograph of a London broil almost somewhat resembling the shape of the Armpit of America. And no, I didn’t cut it too look like that – apparently it came that way right out of the package, according to my brother. My guess is that either someone at the meat department at Shop-Rite was having a little fun with his knife, or this piece of steak came from a Jersey cow. Get it? If not, read this. A Tour of the "Jersey Shore" House! armpitnj on A Tour of the “Jersey Shore” House! Desiray Lakeisha Wright on A Tour of the “Jersey Shore” House!